In recent days, however, speculation that the BBC may cast a woman (and/or an actor of colour) in this flagship role has given way to tabloid reports that they may make a rather safer choice. “Hopes of a woman have been dashed,” reported The Sun, while The Mirror announced that TV bosses determined to recapture “the glory days of the David Tennant era have set their sights on finding a dashing male actor”. If the Mirror is right, we may at least hope that Sacha Dhawan is in the frame. 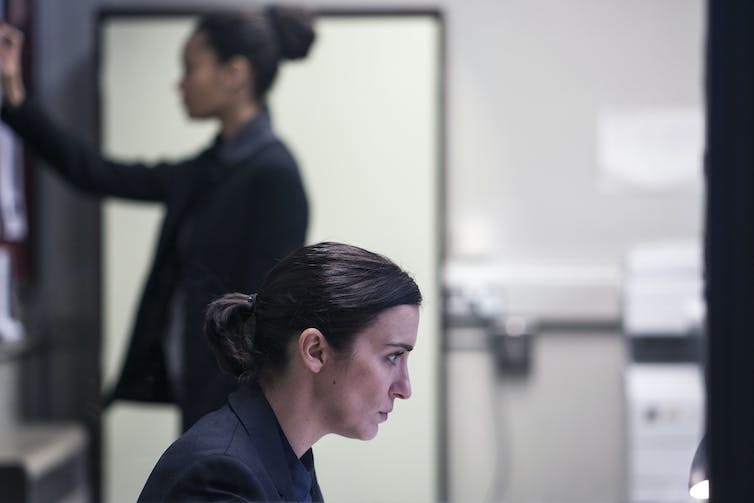 This strategy would, however, exclude both Thandie Newton and Vicky McLure – despite their thrilling performances in the latest Line of Duty – from the running. If, frozen in time in 1989, an old-school Doctor Who fan were roused from cryogenic slumbers, he (and in those days it would almost certainly have been a “he”) would be astonished to see the direction taken by the latest series. He’d note that the hero’s arch-enemy had been reincarnated as both a man and a woman, that his companion was both black and gay, and that the show’s audience demographic had broadened (beyond anyone’s wildest expectations) to include women. 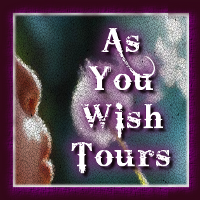 But he might be reassured that two things had not changed. 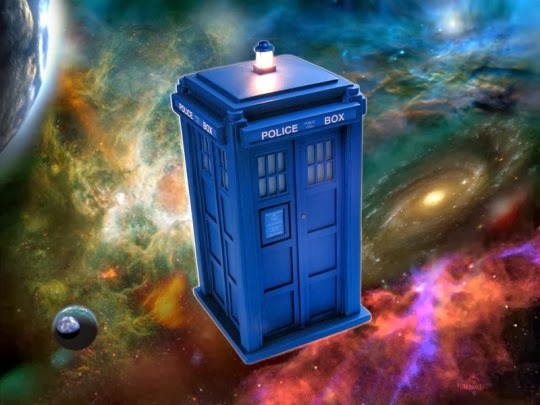 The BBC is still beset by government animosity – and the British press still speculate obsessively about the possibility of a female Doctor Who. In 1985, Margaret Thatcher’s government had established the Peacock Committee to explore “replacing the BBC license fee with advertising revenues”. This was partly prompted by an antagonism towards the BBC’s perceived liberal bias, a hostility escalated by the BBC’s refusal to adopt jingoistic rhetoric in its coverage of the Falklands War – which went as far as seeing allegations of treason being levelled against the broadcaster. In July 1986, the home secretary, Douglas Hurd, had thus reported his government’s enthusiastic response to Peacock’s proposals to promote a “free broadcasting market including the recommendation to increase the proportion of programmes supplied by independent producers”. Two years earlier, that champion of popular broadcasting, Michael Grade, had moved from commercial television to become controller of BBC One. Although feared by traditionalists as heralding a “tidal wave of vulgarian programming”, Grade reestablished the BBC’s reputation as a bold and popular innovator. Those who saw Grade’s ascendancy as a sop to Thatcherism would have been reassured by the controversy he sparked in 1988 by broadcasting Tumbledown, a TV play depicting the indifference of the state towards a serviceman wounded in the Falklands. To every generation of BBC executive there is the one programme which irritates the government so much it defines the corporation’s relations with Downing Street for a decade and Tumbledown was Grade’s. The BBC website notes that Grade “was not afraid to make tough decisions – like scrapping sci-fi favourite Doctor Who”. Grade took the series off air for 18 months and fired its star, Colin Baker – but it was his successors who actually cancelled the programme. Grade remains demonised by die-hard fans as the executive who dispatched their favourite show. Yet his opposition to Doctor Who was indicative not only of his own confidence, but of the institution’s confidence under his management. It was a bold decision, symbolically important in his bid to modernise the organisation, to put a moribund old favourite out of its misery. Yet Grade was not dogmatic about Doctor Who. When Russell T Davies resurrected the series in 2005, Grade wrote to congratulate the BBC’s director-general, Mark Thompson on this “classy, popular triumph”. Indeed, Thompson and Davies’s bold move in bringing the series back was only possible as a result of Grade’s bold decision to send it into exile two decades earlier. Let’s fast forward to the present day – 13 years on from when the Hutton Report scarred the BBC’s confidence and led to the resignation of chair Gavin Davies and director-general Greg Dyke. It’s also nine years since the on-air conduct of Russell Brand and Jonathan Ross prompted the resignation of the controller of Radio 2 and five years since the Jimmy Savile scandal broke. Just last year, the findings of Dame Janet Smith’s investigation emphasised that, in that latter context, the BBC had “missed opportunities to stop monstrous abuse”. In 2015, a battered BBC dithered in its response to the latest incident involving the presenter of its global franchise Top Gear. The organisation prevaricated for a fortnight between the suspension of Jeremy Clarkson following a “fracas” with a producer and the presenter’s termination. 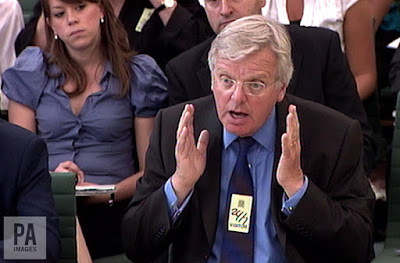 The following year, the organisation’s confidence was further dented when Clarkson’s replacement, Chris Evans, quit following poor reviews. 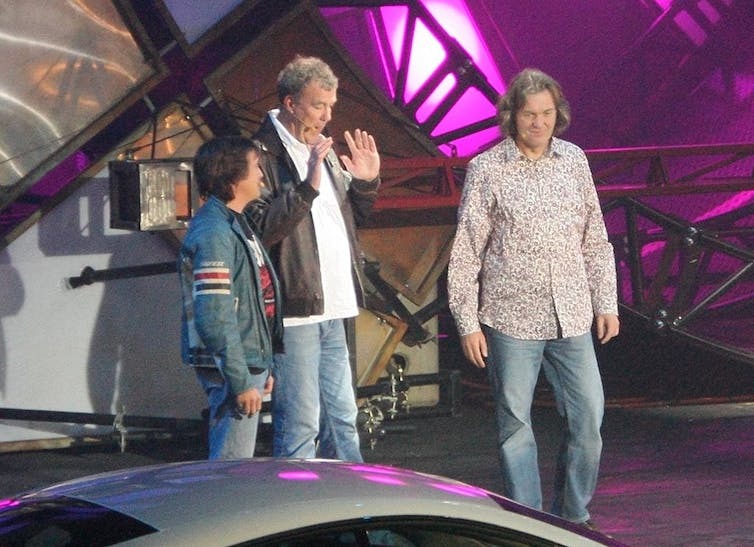 Clarkson’s successful move that year to Amazon Prime (along with co-hosts Hammond and May) did not bolster the BBC’s morale. The situation was hardly improved by the arrival of the government of Theresa May and Philip Hammond, and their allies’ claims of the “pessimistic and skewed” BBC response to Brexit – despite the robust defences advanced by Lord Hall, Nick Robinson, Ivor Gaber, The Guardian and a sizeable group of MPs. In 2015, the BBC relinquished The Voice, one of its most successful formats, to a competitor. 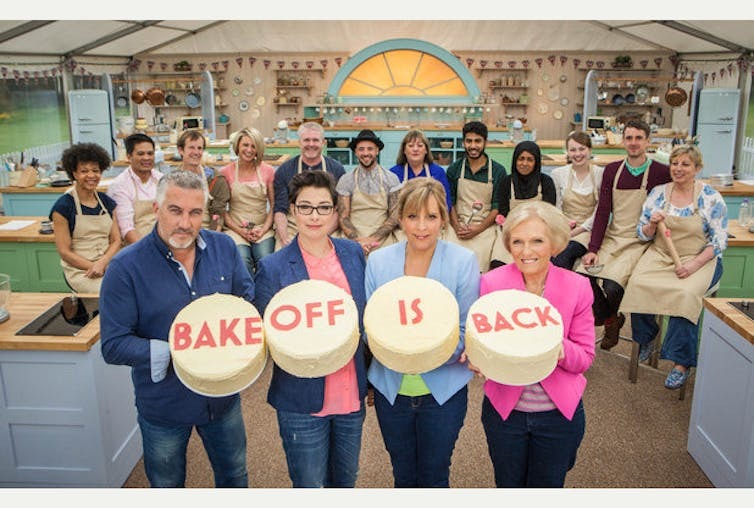 Late in 2016 – as a result of production processes promoted by Peacock three decades earlier – the institution lost another treasured asset to another competitor, the quintessentially “Beebish” Great British Bake Off. Having lost its Voice, Auntie was now in danger of losing her identity. Michael Grade had once fought off bids by rivals to usurp the BBC’s rights to the popular American import Dallas. But today’s BBC lacks Grade’s showmanship. It now bravely clings on to its rights to broadcast such staples as Wimbledon and the Olympics. That is why the choice of the next star of Doctor Who counts. In its international sales, critical success and popular following, the series ranks alongside such titles as Top Gear, Bake Off and Sherlock. The new series – Peter Capaldi’s last – is scheduled to start on Saturday April 15. It will be the programme’s tenth full season since Davies brought it back. The corporation is clearly keen to retain and regain its success as a highly remunerative global brand. The casting of its lead may signal the BBC’s confidence as a bold trendsetter – or not. Who it chooses to play the Doctor may be even more significant than the all-female Ghostbusters remake or Tamsin Greig’s Malvolia – or than Idris Elba’s chances of playing Bond. Lorna Jowett, of Northampton University, has suggested that the relentless white maleness of this pointedly progressive series’ lead has prompted “increasing criticism”. 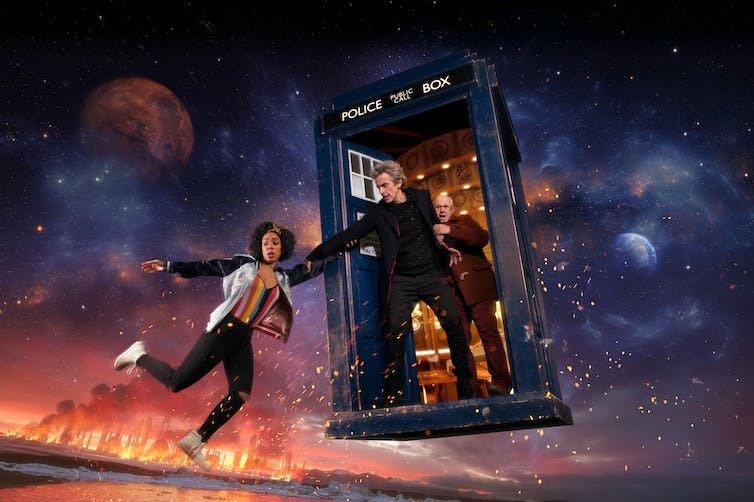 A 2015 episode provocatively presented the regeneration of a white male Time Lord into a black woman, and this prompted renewed press speculation – speculation rife since the 1980s – that the next actor in the role need not be male or white. When it was revealed last month that the Time Lord’s new companion would be a lesbian, showrunner Steven Moffat expressed surprise that anyone thought this was a big deal, commenting: “The correct response should be, ‘What took you so long?’” This was, after all, the show that had given us John Barrowman’s glorious bisexual Captain Jack. The hype around the casting of the series’ next lead may be seen as a barometer of the BBC’s sense of confidence in itself as a cultural driver and leader of social mores. Since Peter Capaldi announced his departure in January there has been much speculation as to who might fill his boots. David Harewood threw his hat into the ring, while Phoebe Waller-Bridge, Natalie Dormer, Olivia Colman and Tilda Swinton have all garnered support. In recent days, however, speculation that the BBC may cast a woman (and/or an actor of colour) in this flagship role has given way to tabloid reports that they may make a rather safer choice. “Hopes of a woman have been dashed,” reported The Sun, while The Mirror announced that TV bosses determined to recapture “the glory days of the David Tennant era have set their sights on finding a dashing male actor”. If the Mirror is right, we may at least hope that Sacha Dhawan is in the frame. This strategy would, however, exclude both Thandie Newton and Vicky McLure – despite their thrilling performances in the latest Line of Duty – from the running. After Hutton, Savile, Top Gear and Bake Off, the question as to whether a BBC rocked by waves of crisis and beset by political hostilities will seek to retrench or renew itself is of massive cultural and political significance. Will the organisation see this critical period as an opportunity to emulate Michael Grade’s modernising chutzpah – aligned with the cultural zeitgeist, yet unafraid of antagonising the establishment? The impending decisions it takes as to the casting of this particular role may offer a gauge as to its confidence (and dexterity) in negotiating a route towards a post-Brexit Britain. It will certainly be something worth watching for.